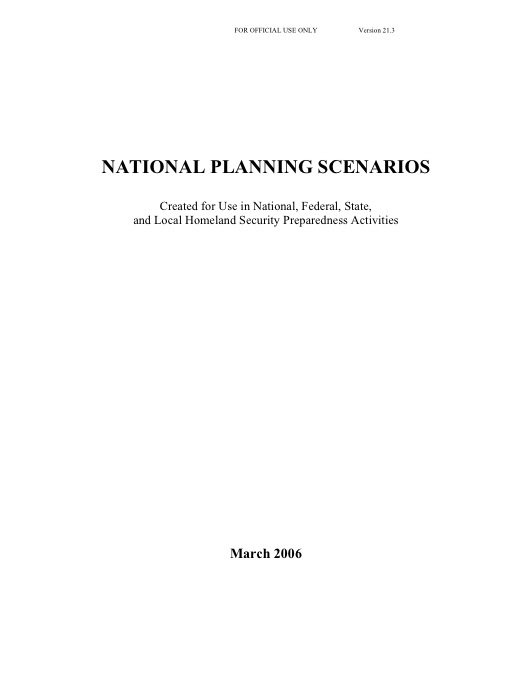 In March 2006, the Federal interagency community released its updated fifteen all-hazards planning scenarios entitled the “National Planning Scenarios” or NPS. 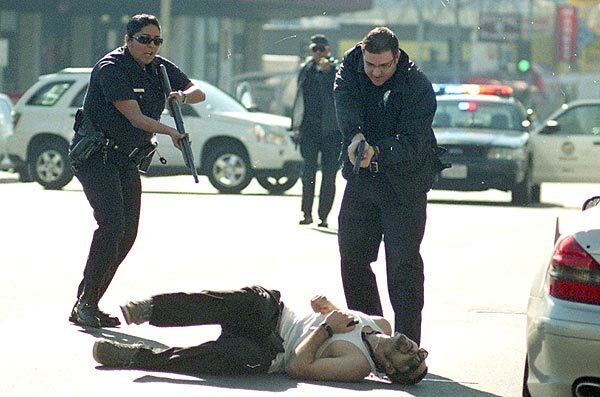 NPS are planning tools that are representative of the range of potential terrorist attacks and natural disasters and the related impacts that face our nation. 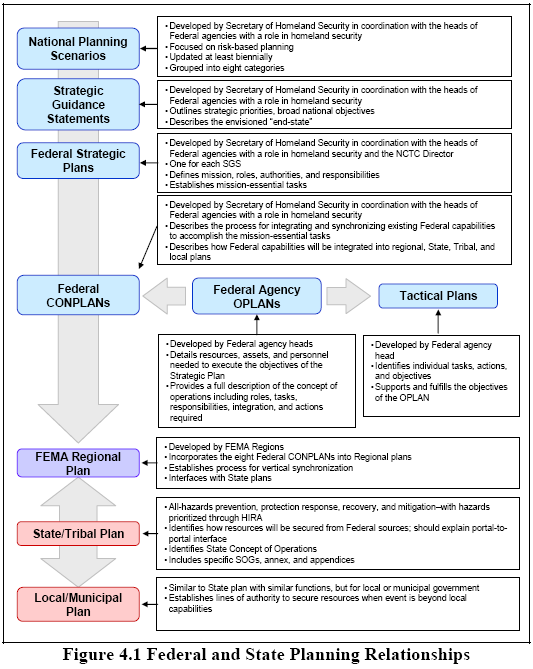 The objective of the NPS was to develop a minimum number of credible scenarios in order to establish the range of response requirements to facilitate preparedness planning at the Federal level. 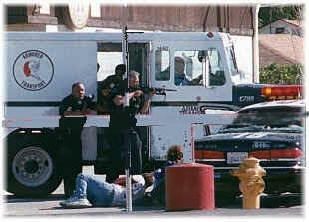 NPS were used in the implementation of Homeland Security Presidential Directive (HSPD)-8, “National Preparedness,” including the development of the National Preparedness Goal and National Exercise Program (NEP). 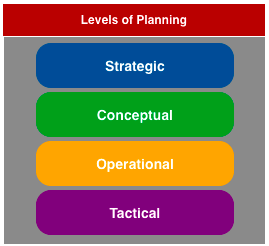 In helping to develop the National Preparedness Goal, NPS provided the foundation for identifying the capabilities across all mission areas and the target levels of those capabilities needed for effective prevention, response, and recovery to major events, such as those outlined in the NPS. While documents like NPS, the National Preparedness Directive, and National Preparedness Goal constitute the foundation of planning and preparedness for Federal planners, very few foundational documents exist for our Nation’s most vulnerable citizens: our children. 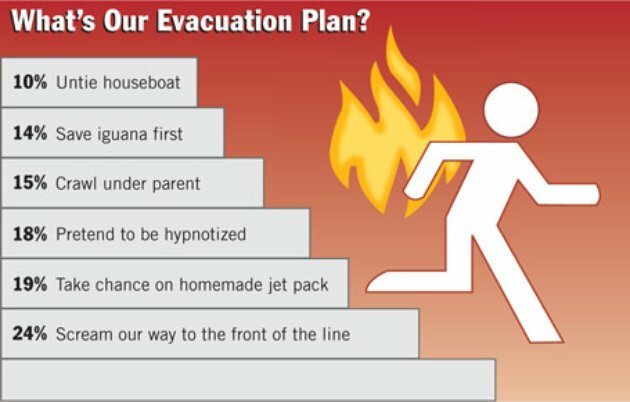 In the perfect world, each school would have an Emergency Operations Plan (EOP) with hazard-specific annexes (taken from the aforementioned CEPS). 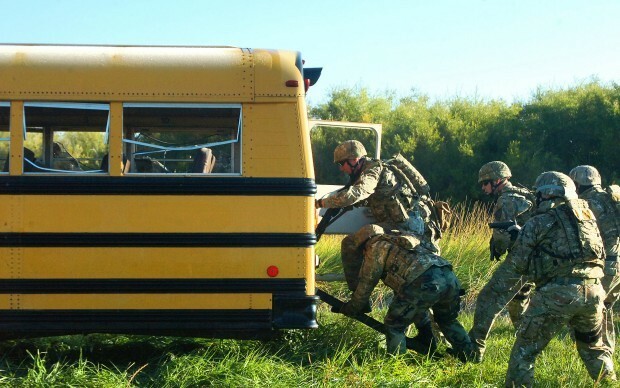 Schools would design and develop plans that include protective measures, pre-scripted public information products, initial actions, coordination requirements, and tactical-level checklists for the incident commander and campus ICS positions. 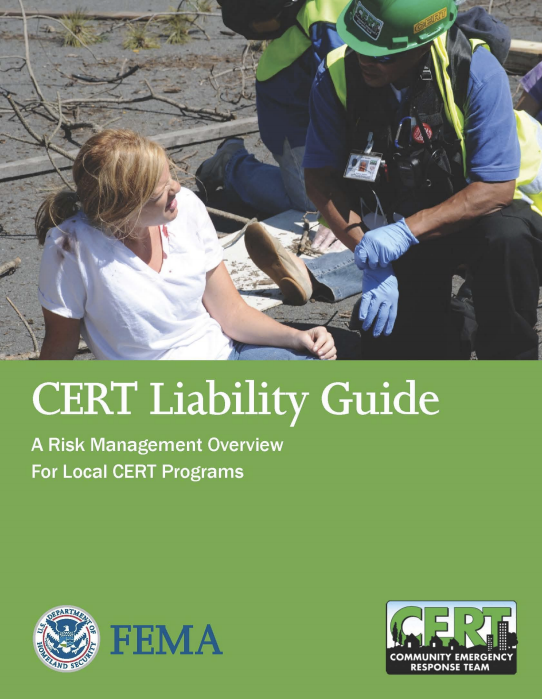 While many schools may have plans for one or several of the CEPS hazards, few schools have comprehensive emergency management programs that address all of the CEPS hazards. 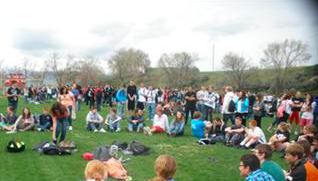 By developing industry-accepted Campus Emergency Planning Scenarios, schools and school districts might be prompted to develop plans, policies, procedures, and protocols for preparing for, responding to, and recovering from the hazards in CEPS. 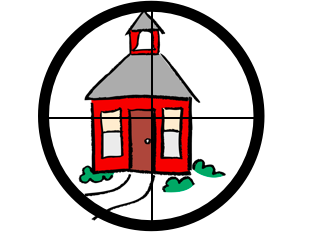 Based on CEPS, perhaps school administrators would be motivated to reach consensus on designing and developing a campus preparedness goal, campus preparedness system/framework, or even lobbying the Secretary of the US Department of Education to release a Campus Preparedness Directive. As I mentioned earlier in this post, the scenarios I propose are in draft form and I would greatly appreciate any comments, feedback, or suggested changes. Many people (especially FEMA employees and local municipalities) fondly remember “Project Impact: Building Disaster Resilient Communities” introduced by James Lee Witt in 1997. While not exactly the same, it seems that Fugate’s vision of a “whole community” is very much in line with the values and principles evinced by “Project Impact”. A couple of years ago I was in FEMA’s Region III office and I still saw hats and pins for Project Impact! With the release of the National Disaster Recovery Framework and the promise of forthcoming frameworks for mitigation and preparedness, Mr. Fugate’s time at FEMA has been revolutionary. Under his watch, FEMA has experienced an incredible number of disaster declarations. From 2009 to this current moment, FEMA has been charged with response and recovery operations for 238 disaster declarations. For context, from 1980-1989, FEMA only had 237 disaster declarations! Mr. Fugate’s calm and effective leadership during extraordinary times is not just noteworthy, but is worthy of study for future generations. Amid talk of a “new, new FEMA” and along with all the progress FEMA and the emergency management field in general has made since Hurricane Katrina, the timing is perfect for Mr. Fugate’s vision of a whole community strategy to motivate a new generation of public servants at all levels (whether they are in the Federal/state/local/tribal government or a community organization/volunteer active in disasters).